The first thing that impresses about Heritage Place is the elegant, clean exterior, centered on a quiet courtyard with a lovely gardened gazebo. Inside, there's a happy, welcoming community, as you stroll through spacious shared areas like the Dining Room, lit by a bank of windows facing the courtyard. 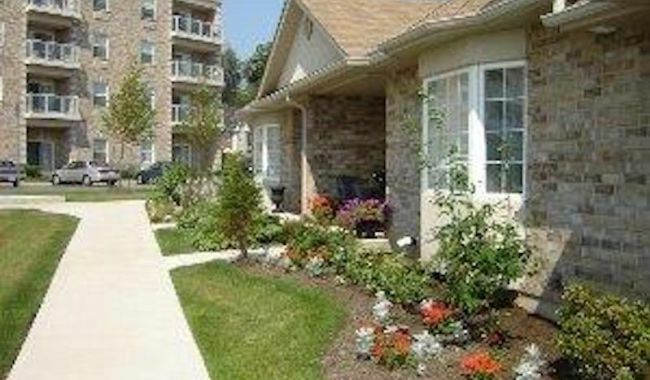 You see that it’s all about community in condo style living, where everyone is the same age. Heritage Place is a unique destination for people from throughout Burlington, Mississauga and Hamilton. 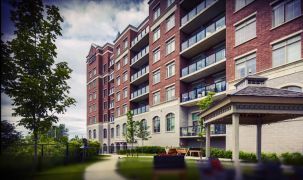 We think it’s a terrific alternative to more traditional independent living retirement homes in the area, combining the freedom of condo living with a vibrant, fun community of friends, enjoying shared activities — or just time together. 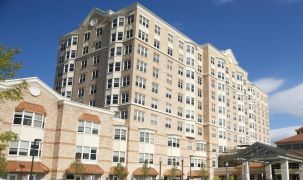 At Comfort Life we are big believers in the value of the social culture created by senior living communities, superior to the separation people feel in suburban or apartment living. And Heritage Place is a stellar example of this. 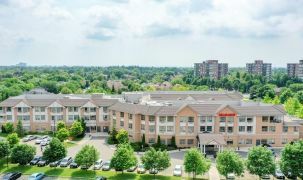 The location, also, is a wonderful combination of beautiful natural greenspace (backing onto Shoreacres Creek) with all the shopping and conveniences you’d expect in Burlington (nearby restaurants, golf courses, malls, etc.). Of course, you are close to Toronto, also, with the GO station just 10 minutes away. One thing apparent about Heritage Place is that there’s always something to do here. People here love the daily brain fitness activity. There’s a slate of things to do every day, including card games, yoga, movies, shopping trips, workshops, live music and the list goes on. (Of course, you also have the privacy of your own condo.) The rich social aspect of living here makes it worth moving away from a traditional family home. We see it as an ideal bridge between typical active lifestyle communities and independent living for seniors. We have a vision of offering a blend of unspoiled nature, first-class amenities, and a community of neighbours who know each others' names. This is the culmination of years of planning and hard work. We want people here to share in our enormous sense of pride. New community. More reviews coming soon.